Solid sugar scrub is one of my favourite soap projects! To use, simply moisten with a little water in the shower and exfoliate your body. Pick your favourite scent for a great hand scrub to keep in the laundry to use after gardening. You can use melt and pour soap or use the cut/odd ends from soap-making - just finely chop or grate the soap before melting. 1. Mix sweet almond oil and fragrance oil (or essential oil) together in a bowl. 2. Melt soap in a microwave jug on 50% power. Add colour and mix well. 3. Combine the oil and soap mixtures together. 4. 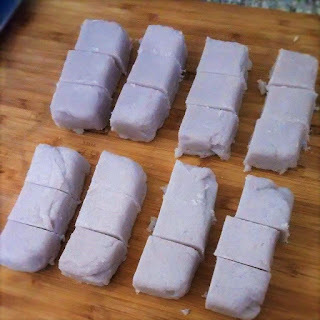 Add the sugar and mix FAST then press into moulds. 5. Soap too firm? Microwave for 15 seconds then pour into moulds. 6. 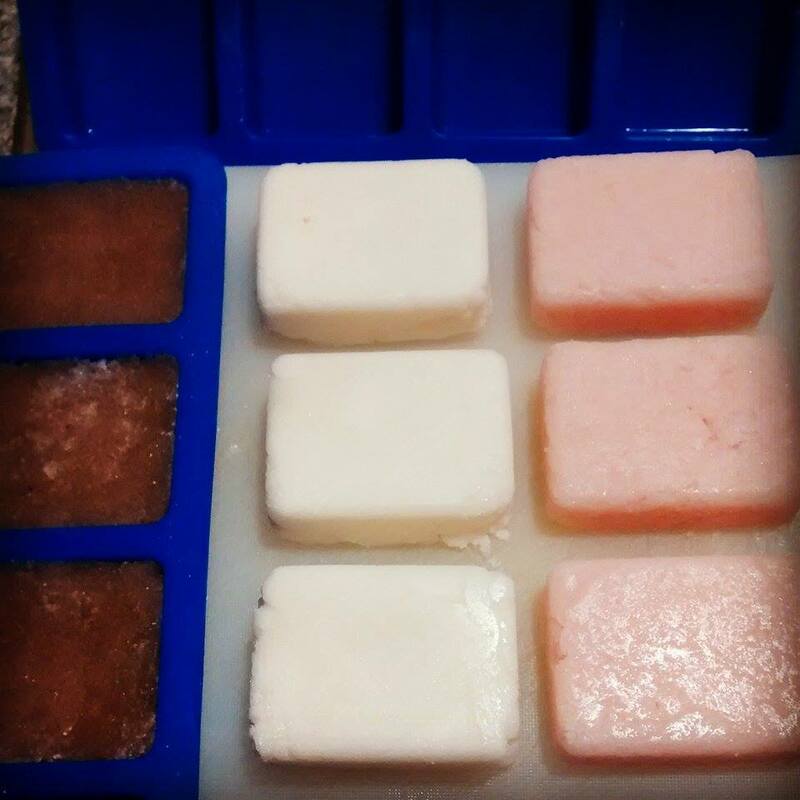 Remove from moulds once cool and cut each bar into 6-12 cubes (large cubes for body scrub, small for hand/feet scrub). Store in an airtight container away from moisture, sunlight and heat. 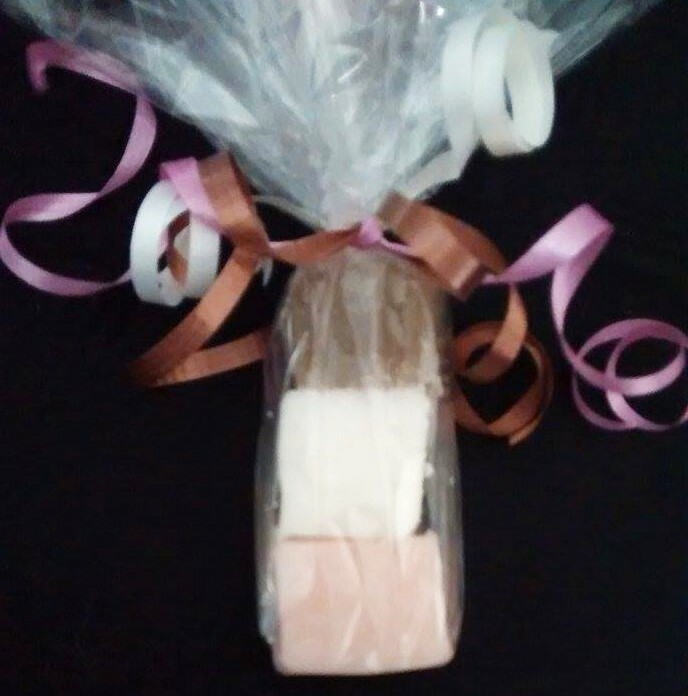 neopolitan sugar scrub soap set!